What are the benefits of SMS tracker? Spying on a man or woman can be much interesting at times, but it can be very much challenging on the other hand. They can also take your relationship at stake. Therefore, it can be too challenging so that the target person will never come to know about the spying done on them. But if you are having the reason for mistrust then SMS tracker can be the best way to for you to find whatever is going on when you are not around. Spy app SMS tracker is the best as it helps you in tracking all the SMS that are received or made by the target person. not only this if the person have deleted these messages then in such case all the information of the message that is deleted are also provided to you with all details such as date, time and the content of the messages. It is the complete phone tracking and monitoring system for android that helps you to get remotely tracking and tracking the entire text message, calls and GPS tracker and much more. Spy app is one of the best cell phone tracking and monitoring system for the android device. By installing the SMS tracker on the target phone, you can track the entire text message MMS, multimedia message, which is receiver or sent by the target person. Not only this you can track calls, web browsing history, or GPS location can also be tracked by the TheTruthSpy. Parents and employers now have the powerful tool that helps to keep your children safe even when the parents can’t see their children physically. Even employers can track their employees so that they work on time which will result in good productivity. If you identify serious threats to your children like sexting, cyber bullying, alcohol and much more that can become a lifelong problem so if timely action can be taken you can easily protect them from all danger. The SMS tracker can be installed very quickly and is for free. They also provide you with the trial pack for 48 days if the customer is fully satisfied with the information given to them then they can choose the best plan for them and start getting all the details that they want. For using the SMS tracker firstly, you have to install spy app on the target person phone. 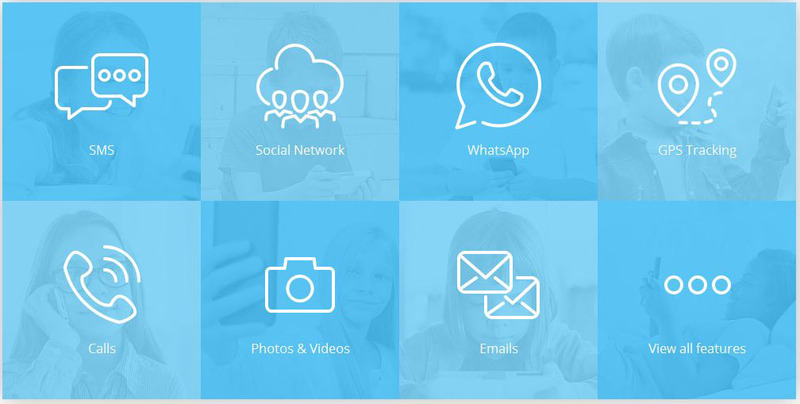 SMS tracking app is the parental monitoring app that is used to keep your children and teens safe from the inappropriate things that are very harmful to their age. You can read the entire text message that the target phone receives that you do not have the legal right to read them by yourself. The SMS tracker helps you to monitor all the sms messages that are being sent and received by the target phone. With the help of the spy app, you can easily track the entire text message, you can easily get all the details of the message such as the date on which the message was delivered or received by the target device. Time of the message sent or received. Even the details of the number that is the name of the contact location can also be known very easily. If you are worried about your children’s always tapping on their phones, you may always wish to know what they are chatting and with whom they are chatting, not only your children’s but your employees as well text messages are the best way in which the employees can be busy on it can be one of the best ways to avoid work. 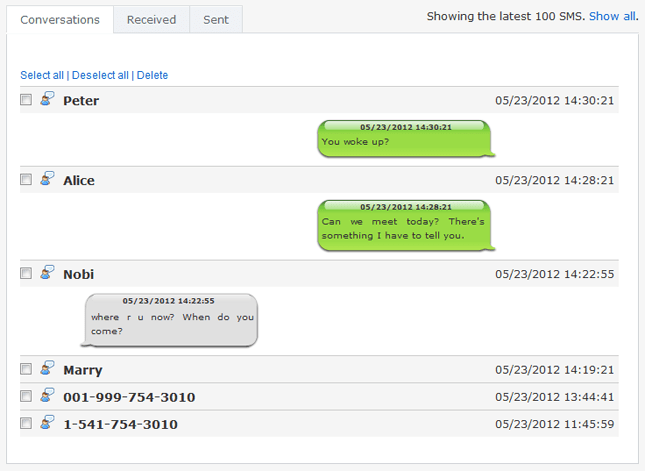 The TheTruthSpy helps you to be acquainted with all the chat going on through text messages on the target phone. Just you have to do is simply logging in to SMS tracker can help you to provide all the information on the SMS message and its details on the control panel of the TheTruthSpy. The android phones are the best for installing SMS tracker, as there are many applications that can be easily accessed through the platform and that also free of cost. The first thing that you need to know is which phone the target person is using as you have to install the application on the target phone to get all the information of the activities that are done by the target person. How to download Text Message Tracker for android? Download the app on the target phone that is for free. It is the best app you can easily download the app and can hide the app so that the target person can never know that you are spying on them. Open the app on the target phone and register with all the details that are required by specifying your email id and the password. You can log in with your phone and can access all the details of the activities that are done on the target device. You can start monitoring the device remotely from the server. Call recordings– the tracker can easily know the all the call records of the monitoring person, all the information of the calls are sent to the control panel of the control panel from where you can access all the information from where you feel like. Not only the call records but all the details of the calls like date, time, and call duration of the calls can be available on the control panel of the spy app. Any, if there are any changes made in the contact list, can also is notified to you. Track on text message-the second best medium of communicating after calling is a text message that is mostly done by the people. And this also you can spy by using a spy app, with this you can track the entire text messages that are received or sent by the target person. All the details of the text message that is date time and the text content all are visible on the control panel of the SMS tracker spy app. Ambient listening–apart from all the call recording the spy app helps you in providing the facility that facilitates you in hearing all the live sounds that are near the victim. With the help of this feature, you can hear all the sounds that are made in the surrounding. This app proves to be very amazing that helps you to hear all the noise of the surroundings. GPS tracker– this is one of the most important features that is provided by the TheTruthSpy is. It allows you to provide all the information about the location of the target person. You can easily get all the live; location of your loved once and the employers. All this can be done with the help of the GPS tracker this can also help you to know the location entity on the map. This helps you in getting the exact; location of the person. And can also help you in getting the phone back in case your phone is lost. Track on social media– social media sites are the biggest platform that can hold secrets. These sites can hold a lot of information about the user. The spy app helps you to know all the secrets of the target person, and know w hat ever is done by the target person. You can also restrict the use of some social networking sites that you feel can affect the child mental health. Check on browsing history– you can easily know which websites are visited by the monitoring person. You can get all the URL of the websites that are being visited by the target person. You can also get the information of all the browsing data that has been deleted by the person. If there is any photo clicked posted on these sites can be immediately notified to you. Notification- this is one of the most important things that is provided by the spy app is you can get the notification of all the activity that is done by the target person. If you want to on the notification for a particular activity such as an alert on a particular number call, or SMS, Or to get the location if the person enters the location then this app will help you in getting the notification. 100% Unpredictable– TheTruthSpy is the best software as if the person knows that he or she is being traced then he will stop doing the things that are can be doubtful so this app allows you to hide the app and the person will never come to know about the spying done on them. Even if the person is very familiar with the phone then also he or she will never come to know about the tracking done on them. What is the need of using SMS Tracker APp TheTruthSpy? Spy software is the most powerful software that has innovative features. Catch your cheating partner– it is worth caring and loving the person till the time he or she is loyal and trust worthy to you. therefore if you have the fear that your partner is cheating on you or if you feel that something wrong is going on in the relationship that can ruining all your relationship. Then with the help of this spy app you can track all the activity of the target person so that if you find something wrong actions can be taken against him or her. So that actions can be taken as it is of no worth doing things for people which is of no value this can bring peace to your mind. Protect your children’s– raising your children is never an easy task especially when you children reaches teenager. Care must be taken as it is the growing age and at this age only children are trapped in wrong friend circle and do things that are inappropriate for their age. Therefore keeping track on their phone can help you to know what your teenagers are talking what type of friend circle they have. Not only this you can get the location of the teenagers and can be tension free. Many a time’s children bunk classes so with the help of TheTruthSpy parents can easily know the location of their children and can know where they are during the times of their classes. Monitor your employees– there are various travel agency and parcel agency that are working to sent your parcel to your homes. So it becomes very difficult for the employers to keep an eye on their employees. So by using the spy app is becomes easy for you to track the sales boy and know where he is and is he doing the office work or simply wasting time doing his personal work. Even spying can help you to know the employees that are not trustworthy for the organization and are sharing all the office information to their stranger. Backup phone data- many times there are chances when the phone is being lost, or stolen spy app can help you to track the phone with the help of the GPS location, not only this even if the network of the phone is changed you can easily track the phone as it is a software and has nothing to do with the network it works very well on all types of network. If your phone is stolen then, sms tracker and calls can help you in giving all the necessary information that is required for tracking the phone. What are the benefits of using Text Message Tracker? Easy to use– one of the best things about the TheTruthSpy app is it is very easy to use that is you do not need any execution for working on this app. It does not require any special skill for the working of this app. When you install the app, you are provided with the user guide, and it is available in all language. This helps you to know all its functioning not only this customer care service is available 24×7 that help you to give all the necessary information if required. Reliable– the other factor which is considered most important for the usage of the TheTruthSpy is that the app is that it is fully certified and licensed that is the user is 100% reliable so you can easily get it without the fear of getting the con. It is the best and works internally, therefore, the person will never come o know the presence of the app on your phone even if the person is very familiar with the phone. Undetectable- the best thing about this software is that. This software is entirely unpredictable. Therefore the person on whom you are spying can never come to know about the spying done on the person. You can monitor all the activities without the target person know about it. Free trail– there is many companies that do not allow the user to have trial service. But the spy app provides you with the trail offer that helps you to give trial pack for 48 days. In this, you can use the app, and if you are comfortable with the working of the app, you can purchase the trial pack according to your suitability. Backup data– the data that tracked by the app is automatically updated on the control panel of the application. Even if the phone gets lost then also the data will be available to you, and you can get the backup of the data available online. Customer services– we provide you with the customer service that is available for 24×7. Whenever you get stuck in any of the situation, you can call the customer service, and they make sure that they solve your problem. You can easily solve your problem, and they are just a call away from. At last, we can say that TheTruthSpy is the most exciting and the most compelling app that helps you to provide all the details of the activities that are done on the target phone. It has highly innovative features that can help the user in providing all the information and the same time it also reduces the burden. The services that are provided by the SMS tracker are very long lasting and help its customer to provide complete satisfaction to its customers. This software can be used by parents to track their children’s, employers use this app to track their employees and spouse use this app to track their partners. So you should not wait and install the app and can enjoy the experience and track all the activities of the target person.